After you've had you teeth professionally whitened you’ll probably want to keep your smile looking bright! 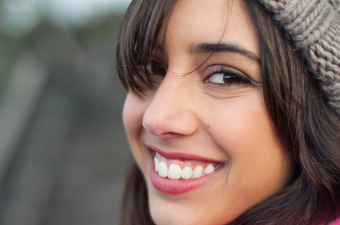 Here are a few tips to help you keep your smile white following your teeth whitening treatment. Brushing and flossing regularly, and thoroughly, is essential to keeping your teeth white. Your oral hygiene routine helps you to remove surface stains and to keep stains from setting in. Be sure to brush your teeth twice daily, for two minutes at a time, and floss your teeth at least once a day. Being thorough is key! Gently brush all four quadrants of your mouth, and don’t stop until you have completed the recommended two full minutes of brushing. An electric toothbrush with a round, rotating head can really help with this process. In fact, many electric toothbrushes come with built-in timers to let you know when your two minutes are up. Over time, dark pigmented foods and drinks can cause tooth discolouration. To avoid staining your newly whitened teeth dark berries, coffee, tea, and even spices like curry, should be consumed in moderation. If you need yet another reason to quit smoking, consider your teeth. Smoking will discolour teeth, turning them yellow or even brown over time. To keep your smile sparkling white, throw those cigarettes in the trash! The effects of your whitening treatment may wear off somewhat over time. If this happens, it could be time for a touch up! You can re-use the whitening trays you already have, and just order more of the whitening solution. Do you have questions about keeping your smile looking bright? 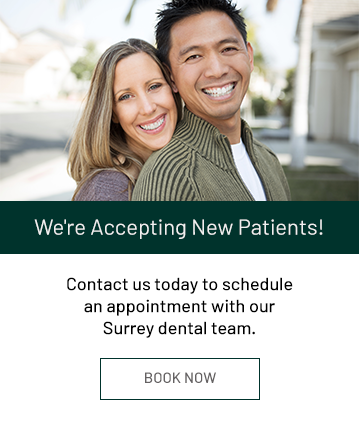 Contact Your Surrey Dentist today to learn more.